Explanation: This alluring all-skyscape was taken 5,100 metres above sea level, from the Chajnantor Plateau in the Chilean Andes. Viewed through the site's rarefied atmosphere at about 50% sea level pressure, the gorgeous Milky Way stretches through the scene. 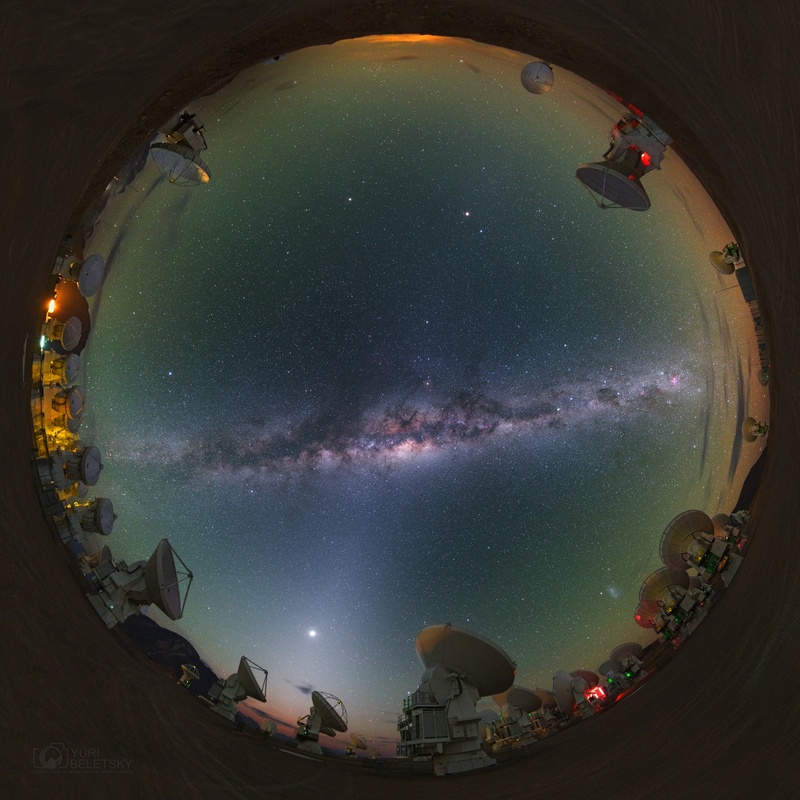 Its cosmic rifts of dust, stars, and nebulae are joined by Venus, a brilliant morning star immersed in a strong band of predawn Zodiacal light. Still not completely dark even at this high altitude, the night sky's greenish cast is due to airglow emission from oxygen atoms. Around the horizon the dish antenna units of the Atacama Large Millimetre/submillimetre Array, ALMA, explore the universe at wavelengths over 1,000 times longer than visible light.